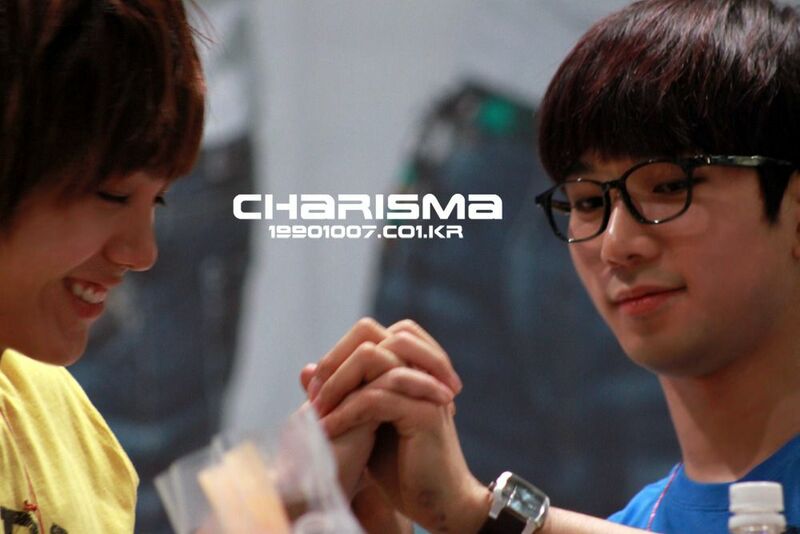 I admit there are some residual feels lingering from Day 592, watching the playful antics of G.O and Mir together. There is something sweet and special about their brotherhood. Maybe it has something to do with the fact that they are both water signs or that they are both the baby brothers in their respective families. Then again, maybe it is something far simpler. Maybe they love and respect each other as friends, colleagues . . . brothers. My G.O One Shot today honors a little of that bromantical brotherhood in a couple of very sweet and darling captures of the two very charming baby brothers. Categories: G.O Military Discharge, MBLAQ Musings, The G.O Files | Tags: Bang Cheol Yong, Bang Cheol Yong images, 미르, 방철용, G.O, G.O at Fan Signs, G.O Endorsing TBJ Nearby, G.O images, 정병희, 지오, Jung Byung Hee, Jung Byung Hee images, MBLAQ G.O, MBLAQ G.O at Fan Signs, MBLAQ G.O images, MBLAQ Mir, MBLAQ Mir images, TBJ Fan Sign Event 2010, TBJ Nearby | Permalink.